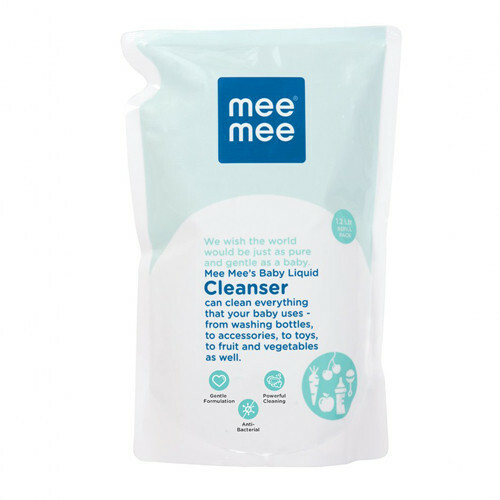 Mee mee anti-bacterial baby liquid cleanser which is a leading importer of mother and baby care products, has introduced this liquid cleanser in a colourful 1. 2 Litre refill pack. It is formulated with natural, biodegradable and edible ingredients. It has been proved to be anti- bacterial and has also cleared the non-toxic test. In fact, it is suitable for babies of 3 months and above.